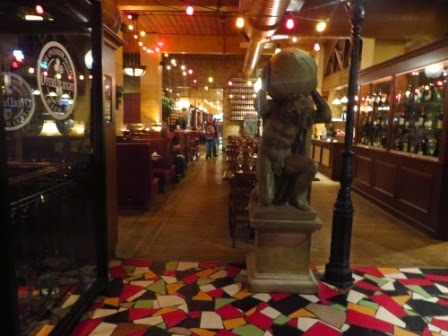 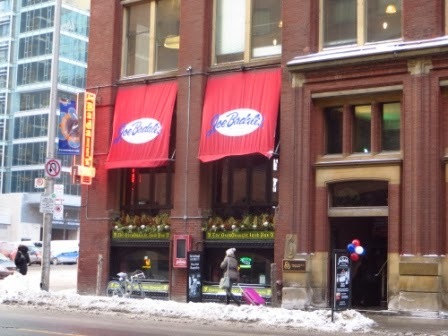 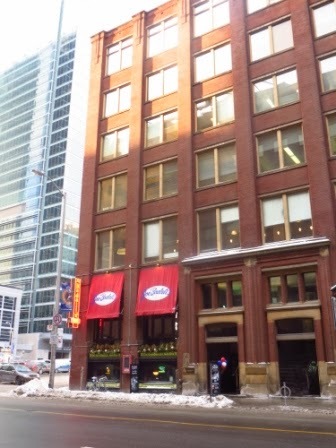 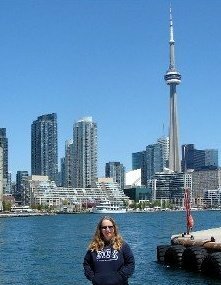 Before Gord and I went to the Toronto Rock game this evening, we had supper at Joe Badali's at Front/University. 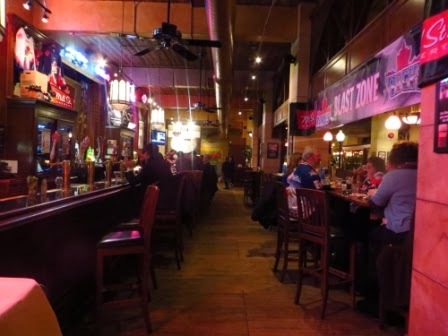 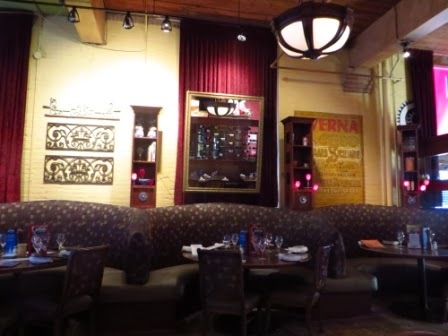 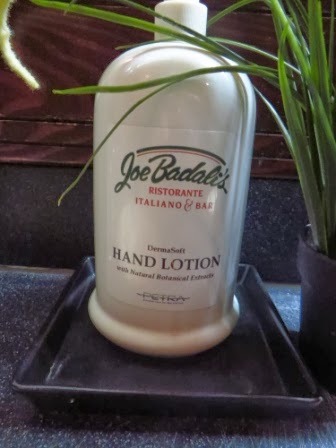 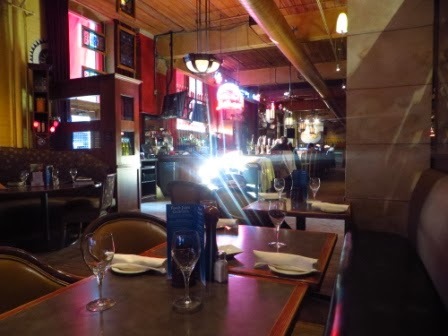 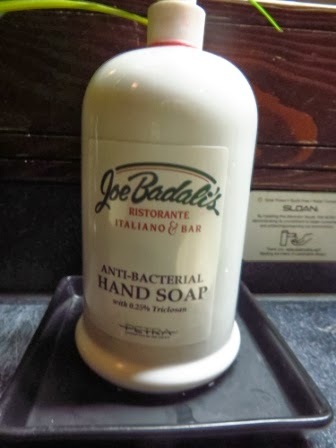 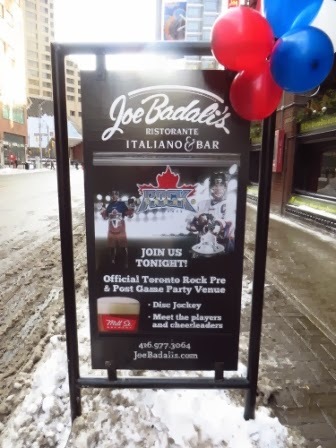 Joe Badali's is the official pre- and post-game venue for the Rock (you get 15% off your food). 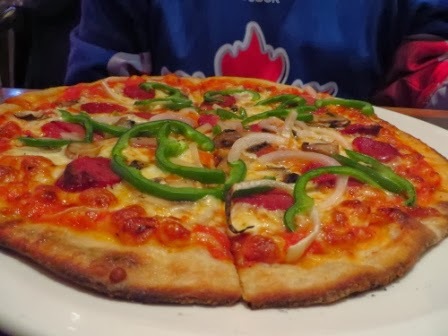 Gord ordered the Classic New York pizza ... he said it was good. 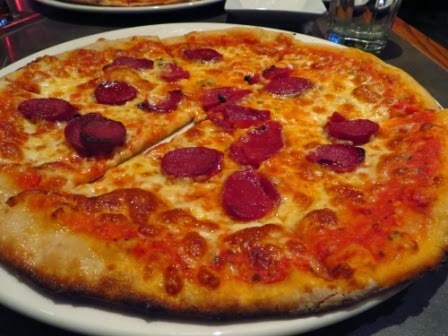 I ordered a pepperoni pizza ... it was delicious and I ate it all!.